Backpacking is an excellent practice in learning to deal with things beyond your control. Almost anyone who has done any amount of it has a story that pertains to such a lesson. Many times, it is the weather that leaves us at our wits end, wishing we could control the skies above. But as all backpackers also know, we can’t! That’s why we have come up with so many different ways to deal with rain! Below are several different ways you can make your life a little more enjoyable when hiking in the rain. 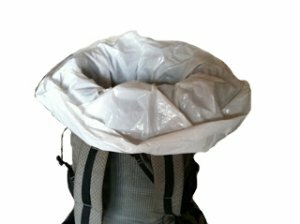 A pack cover is the most popular way in which to keep your gear dry. By keeping your pack cover in a readily accessible place such as an external pocket of your pack, you can whip it out at a moments notice and have your gear protected before the rain gets heavy. 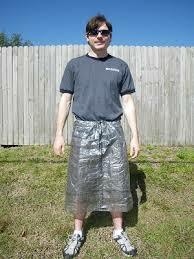 They are the lightest way to keep everything dry! 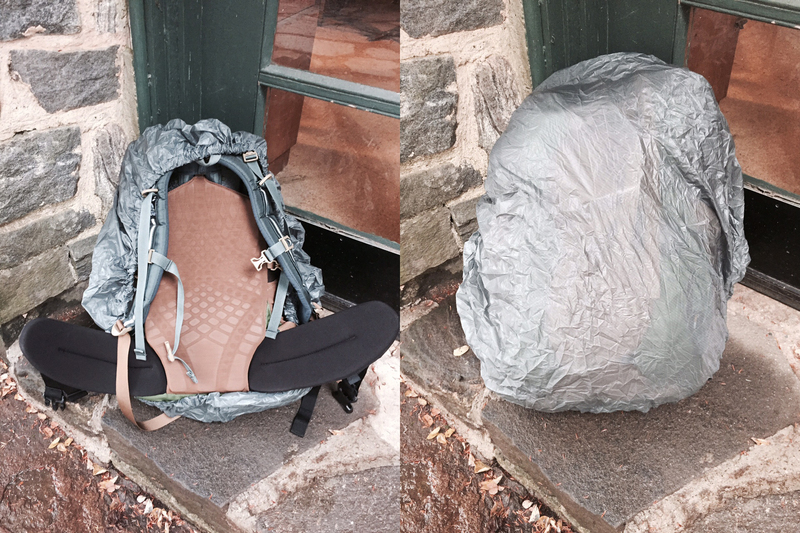 Instead of using a pack cover, some backpackers line their pack with a heavy duty trash bag such as a compactor bag. These thick plastic bags act as a barrier between the rain and your gear. Remember that if you choose this method, you will be allowing your pack itself to get soaked and anything in any external pocket. Rain Jackets are the most common way folks keep themselves dry while hiking in the rain. When the temperatures are warn enough, some opt to not even use a rain jacket. 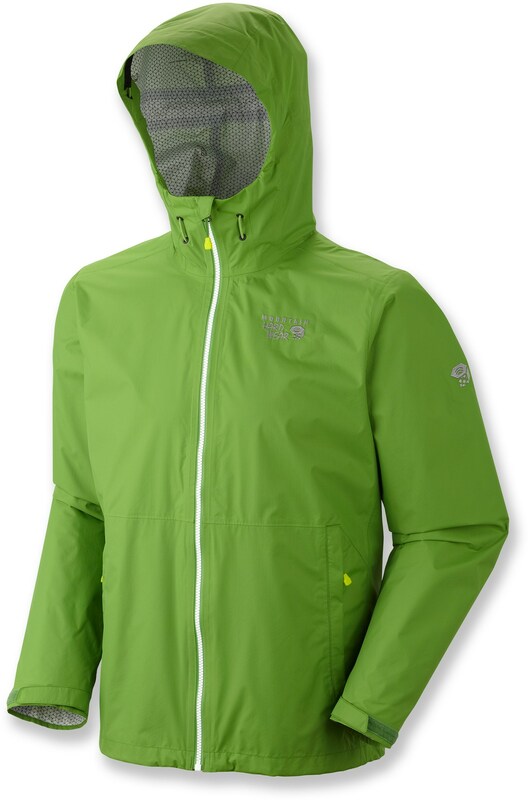 But when it is chilly out or the winds pick up, a rain jacket is a welcomed piece of gear. Many times hikers find that they sweat when using a rain jacket. While many companies attempt to make a breathable Gore-tex shell, it can often times seems as if you are only exchanging wetness from rain for wetness from sweat. Still, when it is cold out, a rain jacket can be a life or death piece of gear. Even when it is not raining, a rain jacket is multi-purpose enough to be used as an insulation layer. Rain Pants are not as essential as a rain jacket but many hikers like the ability to keep their legs and pants dry as well. Like a rain jacket, they make for an excellent, multi-purpose insulation layer. Many thru hikers opt to use their rain jacket and pants as a pair of clothes to wear while doing laundry on town days. 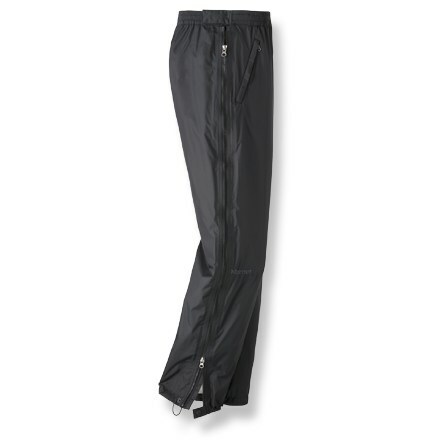 Frogg Toggs are a very lightweight, inexpensive alternative to a rain jacket and rain pants. They can easily be found at Wal-Mart and other like department stores. You get what you pay for, but they are a great option for rain gear that will d the job in a pinch. 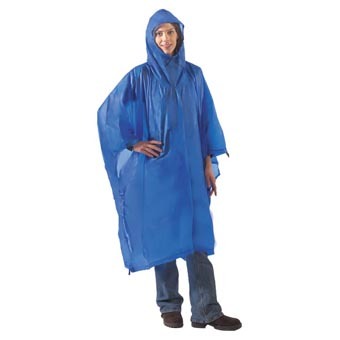 Backpacker Ponchos are an option to keep you and your gear dry at the same time! These over sized ponchos cover you and your pack, nearly covering the legs as well. They are not the lightest option but they serve well to handle a wet situation with as little pieces of gear as possible. The rain skirt is not the most popular method of protection from the wet, but for ultra light hikers, rain skirts made by companies such a zPacks are an excellent option because these versatile little guys also second as a ground cloth. Don’t wear waterproof shoes if you’re going to be out for several days. Once waterproof shoes get wet (and they inevitably will get wet from the ankle if you’re walking through days of down pours) they take a long time to dry out again because they are doing their job in reverse, blocking moisture from escaping the shoe. 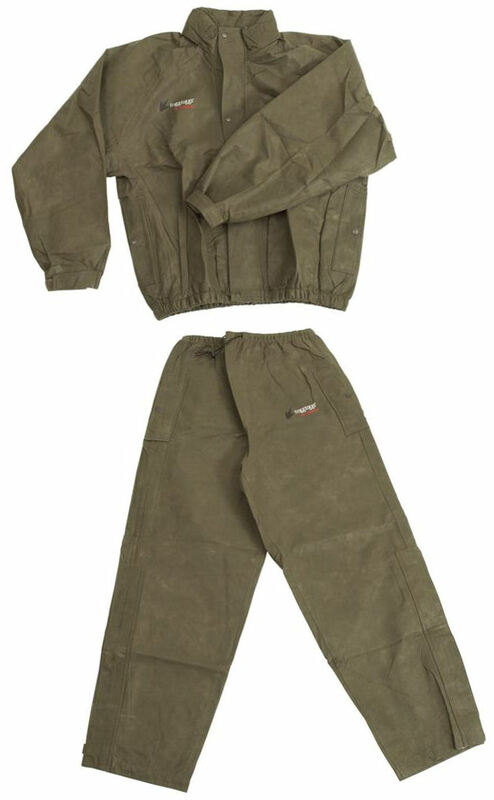 Keep one set of dry clothes to wear in camp and keep putting on your wet clothes (if they haven’t dried) each day to hike. If possible, do this with socks too if it doesn’t give you blisters. Having warm and dry clothes to switch into in camp can be the line between happiness and hypothermia if the temperatures drop low enough. If temperatures are dropping below freezing at night and your hiking shoes are wet, put each one in a bed bag or the pair of them in a big ziplock, and keep them in the foot box of your sleeping bag overnight to keep them from freezing. Be sure that they are tightly sealed and will not leak into your sleeping bag. In the morning they will be soaking wet, but at least you wont be forcing your sore foot into a frozen, solid shoe. So the next time you have a chance to go hiking and the weather is not cooperating, just grab your rain gear and prep your mind to beat out Mother Nature’s weather whims! This entry was tagged appalachian Trail, backpacking, gear, hiking, mountain crossings, Neel Gap, pack cover, rain, rain gear, rain jacket, rain pants, Tips, tricks. Bookmark the permalink.